Dunno why you want it man. It was awful compared to the PC version (mainly due to loading times and no mouse+keyboard setup). Also afaik, the PSone version has nothing special added, well beside from added frustration and less crisper sprites. Not even a system link up mode. P.S. I had a look up for a rom of it like, but to no avail. Soz. 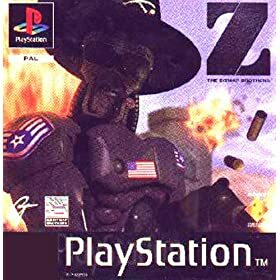 Well I started playin Z with the (german)PS1-version , and IT IS a game which can be played on PS as well , it was quite great fun^^. If you still want it for PS1, I've got a copy I brought for about $3 that I can copy and upload in ISO format. But yeah, if you still want it, buzz me, I'll upload for everyone here. I have recently bought a Z - ps1(PAL) version of ebay, I can create a rip of it if people are interested drop me a pm and il put it on rapidshare n link it.